New Yorkers are demanding an official probe into State Senator Marty Golden’s alleged impersonation of a police officer using his city-issued parking placard. The incident first went public Monday night, when Brooklyn resident Brian Howald posted about it on Twitter. Golden flashed his city-issued placard, claimed he was a cop, and threatened to take Howald to a precinct after he refused to exit a bike lane to make way for Golden’s chauffeured Cadillac, Howald says. Golden doesn’t deny that he was the passenger Howald encountered in the bike lane. But he has not admitted to impersonating an officer with his placard, which is a crime. Instead, Golden has personally attacked Howald in public statements. State Senator Elaine Phillips chairs the ethics committee. 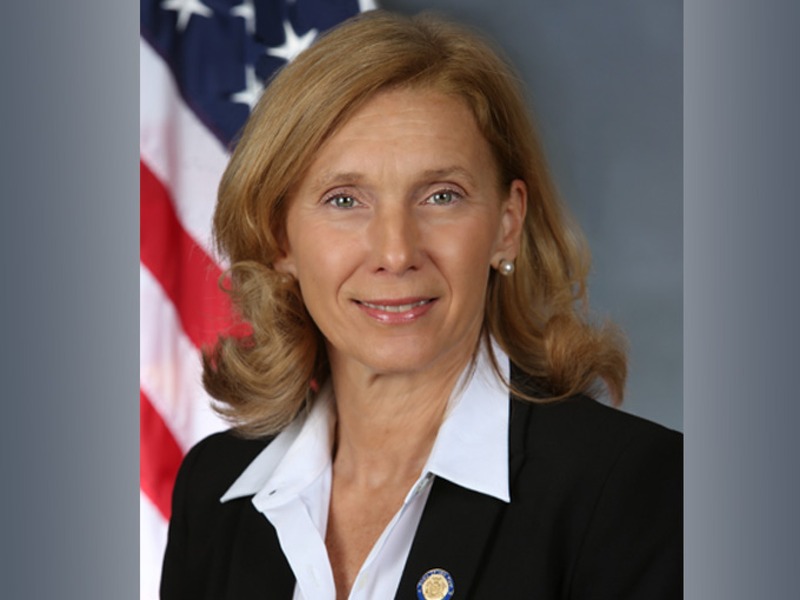 The Senate Ethics Committee, chaired by Long Island Republican Elaine Phillips, could launch an investigation into Golden’s behavior. An online petition posted by “People United for a Little Less Corruption in South Brooklyn” calls on Phillips and Democrat Michael Gianaris, the committee’s ranking member, to conduct “a full investigation” into Golden’s “alleged misconduct.” As of this writing petitioners are close to their goal of 200 signatures. You can sign here. Streetsblog contacted Phillips’s office earlier today asking if she will launch an ethics investigation and hold a hearing on Golden’s conduct. We have yet to receive a reply. Despite public outrage over Golden’s actions and a wave of media coverage, city officials have shown no inclination to act. NYPD said it is not investigating the claim that Golden impersonated a police officer. Mayor de Blasio, who could revoke Golden’s parking placard, has said nothing publicly about a state senator with a horrendous driving record continuing to put the public at risk. Streetsblog queries to City Hall and NYPD about Monday’s incident have gone unanswered. The Daily News reported today that Golden reached a $750,000 settlement with the estate of Hariklia Zafiropoulos, the 74-year-old woman he fatally injured with his SUV in 2005. The lawsuit accused Golden of “negligence and recklessness.” NYPD filed no charges and blamed the victim for the collision. In Albany, Golden has repeatedly blocked the expansion of speed cameras for NYC. The city’s existing camera enforcement program has cited Golden’s car for 10 violations for speeding or red light running since 2015. The guys has multiple tickets for speeding in school zones. And 10 violations for speeding/red lights in just a few years? In NYC for a politicians who is ex-NYPD? You know he or his driver have been breaking the law far more regularly. If you are asking for a prediction, I’d suggest the answer is no. There have been more than 30 legislators convicted of various offenses in the past decade or two. Did the “ethics” committees investigate any of them? Twelve years ago State Senator Marty Golden ran over a 74-year-old woman with his SUV on Brooklyn's Third Avenue, a few miles down the same street where, on Monday night, Golden impersonated a police officer while brandishing his parking placard in an attempt to bully a cyclist out of a bike lane with his chauffeured Cadillac.